Institut Sankt Joseph´s Bilingual Program is focused not only on language acquisition, but also cultural acquisition. The ability to experience the interconnectiveness of language and culture is a key element of the program. Institut Sankt Joseph wants our students to see diversity as a positive catalyst for understanding. In understanding “others” our students will have the tools to demystify other cultures and learn how to build bridges over the obstacles of prejudice. 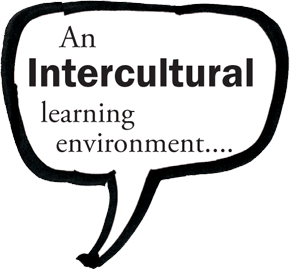 The goal is for each student to learn how to thrive in complex intercultural relations. 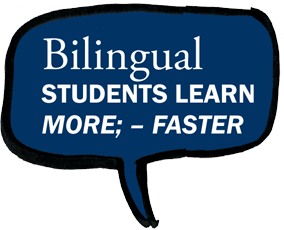 Leading research in biligualism shows that bilingual education is additive learning and not detrimental to the learning potential of students. Studies show that students attain the same levels of achievement in academic domains such as Maths and Science as their peers in monolingual programs. In addition, students achieve a significantly higher level of proficiency in the additional language of instruction than that of their peers in a monolingual program. Another fact of bilingualism is that students develop strong problem solving skills using cross linguistic strategies. 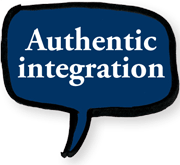 The Institut Sankt Joseph International Bilingual Program is designed for families that want to experience authentic integration and/or authentic internationalisation. Students in this program will take part in a unique hybrid model that has elements of both the Danish and International school systems, a program which will deliver examinations that meet high international standards, promote internationalisation, intercultural understanding and bilingualism. Students in this program will have access to an international curriculum and examination process that is structured, objective and able to deliver the content and language integrated learning approach that a bilingual program desires. 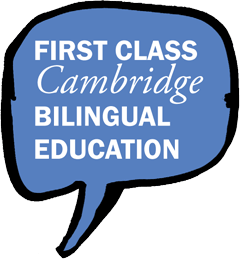 Students will be taught by native English speakers, who are experienced in preparing students for the Cambridge International Examinations. Students will navigate the key stages of the Cambridge international examinations process, which ultimately culminates in the IGCSE examinations at age 15/16. Completion of the IGCSE examinations will give students access to IB gymnasiums in Denmark and international high schools abroad. 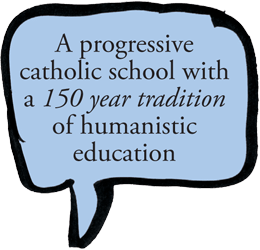 Institut Sankt Joseph is a private Catholic school with a 150 year tradition of providing an academically challenging, liberal arts education, which is composed of an ambitious and caring school environment grounded in professionalism and Catholic-humanistic ideals. In everyday teaching, value is placed upon sufficient time for dialogue, reflection and thoughtfulness, also in relation to existential/religious questions. It is our goal that our students’ intellectual, creative and spiritual development is cultivated simultaneously as they grow at our school. We offer a vibrant international environment; with students representing over 55 countries and 33 mother tongues, which makes for a diverse student body –both culturally and religiously. All are welcome! The Institut Sankt Joseph International Bilingual Program will consist of two curriculums, taught in two languages, guided by the values of one unified school. 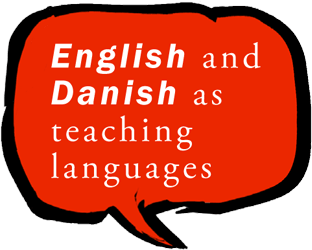 Approximately half of the lessons will be taught in Danish following the "dansk fællesmål"; whereas, the other half of the lessons (Maths, English and Science) will be taught in English following the Cambridge International curriculum. The end goal is that students are able to excel in both the Danish and International school systems while in Denmark, and moreover, give students and families the flexibility to succeed in Denmark and abroad both now and in the future. Discover Denmark and the World every day! Students in our program will be encouraged to seek out the rich cultural heritage that exists in Denmark, in addition to the various other cultures represented by fellow classmates at Institut Sankt Joseph. The goal is to create a class environment where curiousity and openness lead to discovery. The discovery of both the Danish society which our students are members of, and the societies that lie outside the Danish borders. In essence we want to create a world student in a global classroom that understands their local roots. 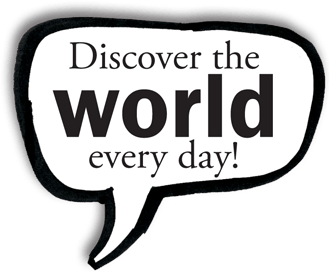 Discover the world every day!